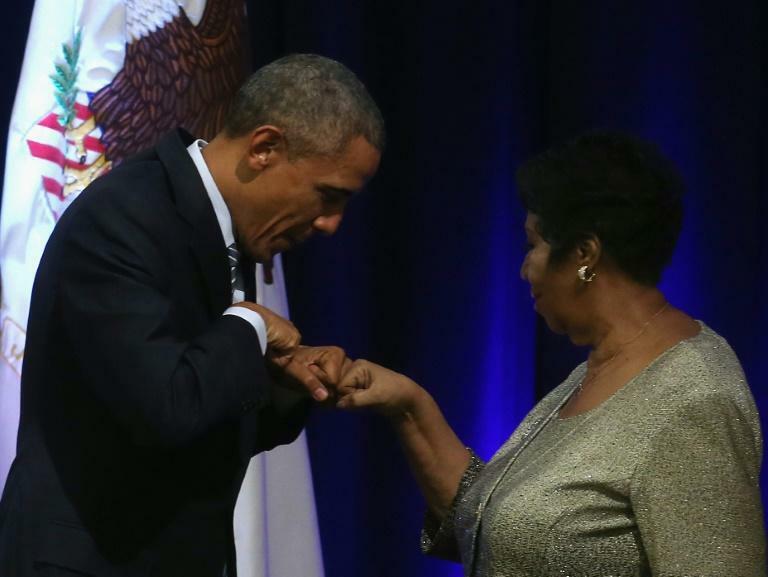 The death of 76-year-old music icon Aretha Franklin prompted figures across the spectrum, from politics to pop, to pay homage to her tremendous influence on American culture. "It's difficult to conceive of a world without her. Not only was she a uniquely brilliant singer, but her commitment to civil rights made an indelible impact on the world," the singer and actress tweeted. "I am deeply saddened about the passing of the Queen of Soul and my sister in song, Aretha Franklin," the singer who also gained fame in the golden era of soul, disco and R&B. "Today the world has experienced a tremendous loss. Aretha was a rare treasure whose unmatched musical genius helped craft the soundtrack to the lives of so many." "I'm sitting in prayer for the wonderful golden spirit Aretha Franklin," the acclaimed singer tweeted. "Salute to the Queen. The greatest vocalist I've ever known," the pop star tweeted. "Let's all take a moment to give thanks for the beautiful life of Aretha Franklin, the Queen of our souls, who inspired us all for many many years. She will be missed but the memory of her greatness as a musician and a fine human being will live with us forever. Love Paul," the Beatles legend tweeted. "The whole world will miss her but will always rejoice in her remarkable legacy. The Queen is dead. Long live the Queen. #RIPArethaFranklin," tweeted the pop superstar. "The greatest voice in American popular music has been stilled. Our beloved #ArethaFranklin has gone. For me, she was a musical lighthouse, guiding and inspiring with every note. I loved her so and love her still. 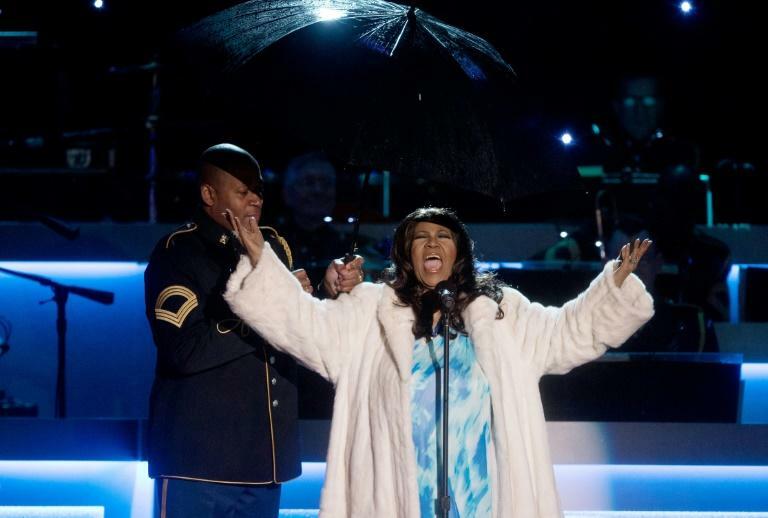 Goodbye, Queen of Soul," the singer and actress tweeted. "The Queen of Soul, Aretha Franklin, is dead. She was a great woman, with a wonderful gift from God, her voice. She will be missed!" tweeted the US president. "Earth has lost a lot of music today," civil rights leader Jesse Jackson said on local television. "She never stopped serving. She never stopped caring. She never stopped sharing. We thank her so much. We miss her already so much." "The ever-reigning Queen of Soul Aretha Franklin is an iconic symbol of black pride whose music touched so many hearts and souls," tweeted the rights organization. "We know Aretha's legacy will live on." 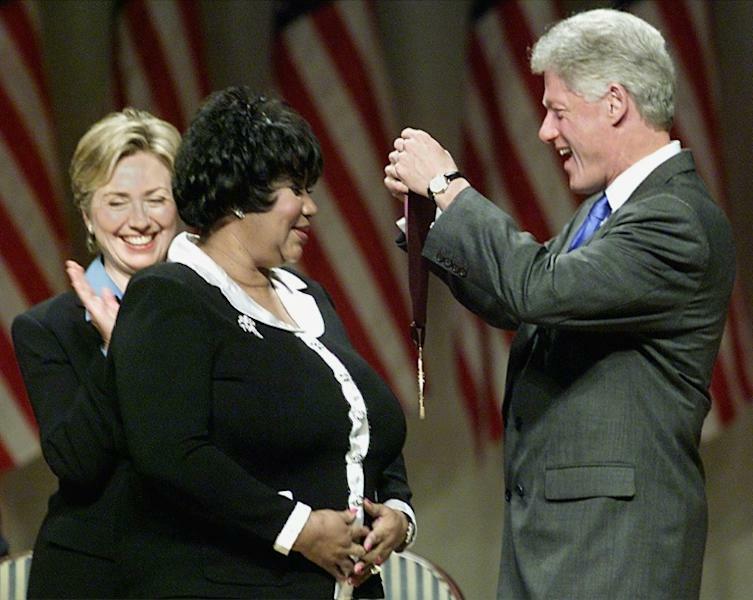 "Hillary and I mourn the loss of our friend Aretha Franklin, one of America's greatest national treasures," said the former US president in a joint statement with his wife, the former secretary of state. "For more than 50 years, she stirred our souls. She was elegant, graceful, and utterly uncompromising in her artistry." "Deeply saddened by the passing of a beloved friend and queen/warrior Aretha Franklin," tweeted the civil rights activist. "Her contributions are legendary both personally and societally. We hope you take a pause today to remember the life of a beautiful soul." "One of the greatest voices of all time has been silenced," tweeted the California congresswoman. "My dear friend Aretha Franklin has passed. Even though her music will live on forever, the sound, the voice, and the inspiration of the Queen of Soul can never be matched. Farewell, Aretha."